One of the questions I get asked the most is where we got our fiddle leaf fig from. If you love browsing Pinterest and interior design blogs, you are sure to have come across this beautiful plant. 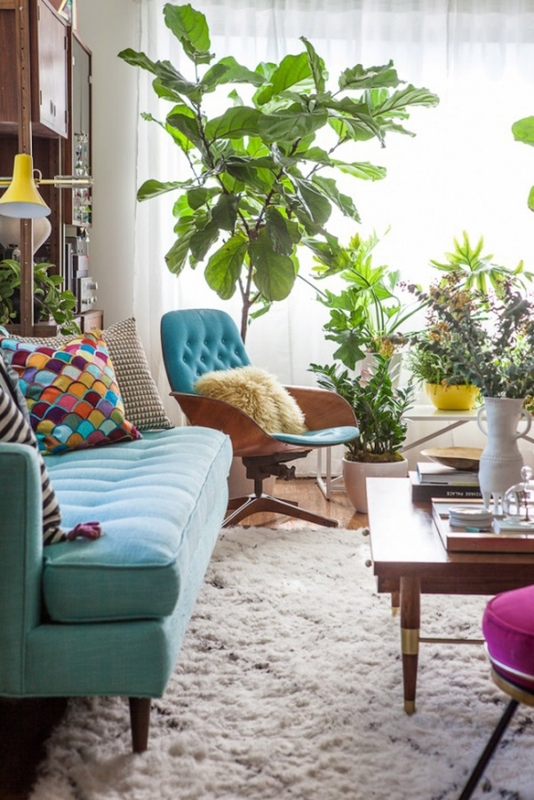 The fiddle leaf fig (Ficus Lyrata) is native to western Africa but has spread across the globe, enjoying a huge resurgence recently as a rather lusted-after, fashionable house plant. And don't they look cool? I love fiddle leaf figs. 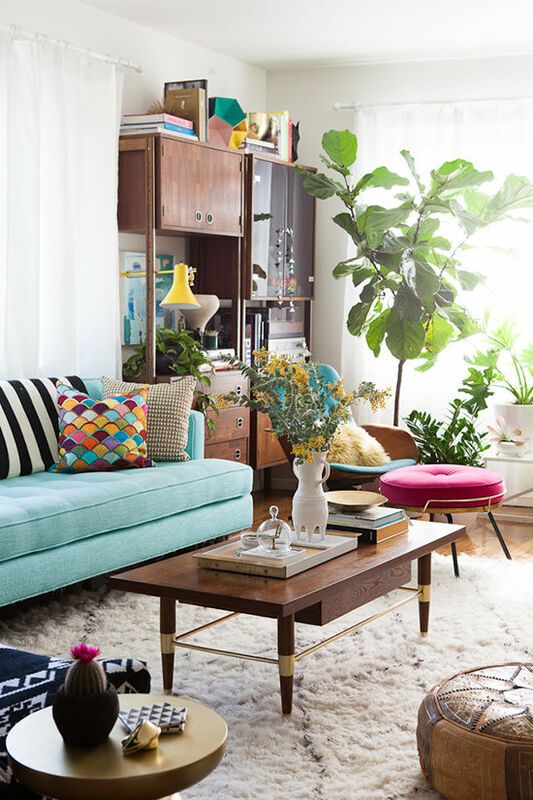 Putting a fiddle leaf fig in a room is kind of like giving a room a living sculpture. I think they just add so much life to a room and seem to give a space that lived-in, comfortable, kick-off-your-shoes feel. Our bedroom - with small fiddle leaf fig. Don't stress if you only want a small one - you can trim them! And yes... I hate ironing. 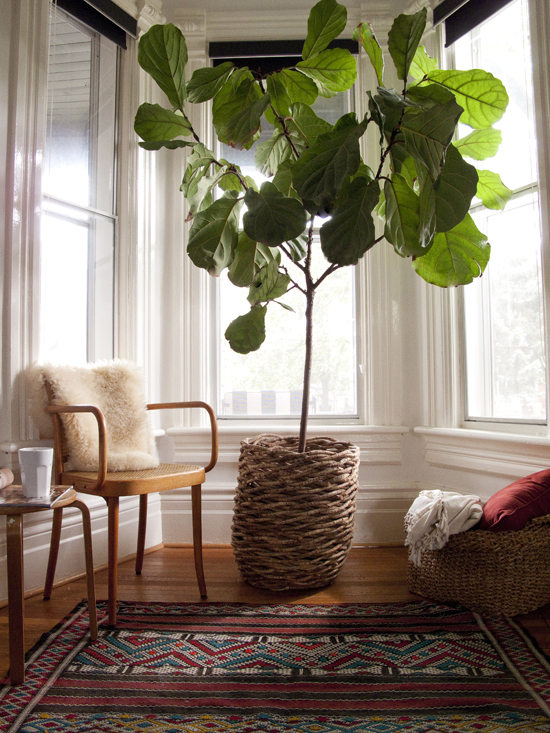 Bedroom fiddle leaf. From The Design Files. 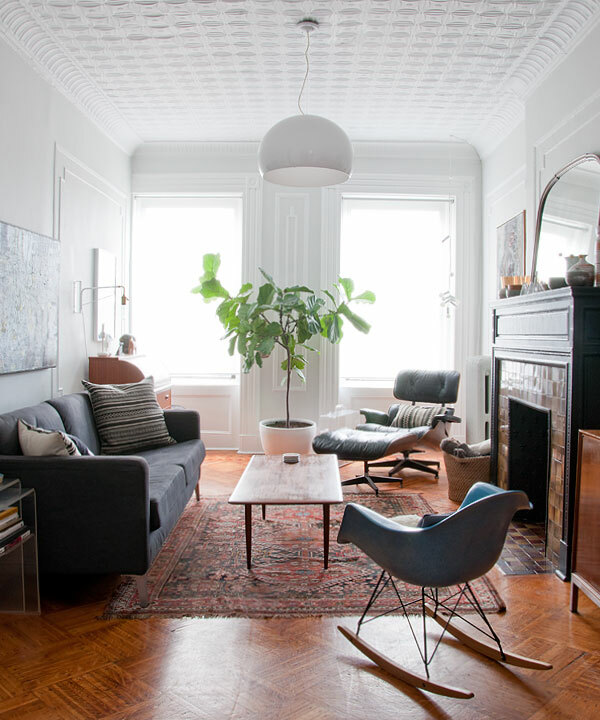 I am slightly obsessed with the gorgeous apartment of Bri Emery from Design Love Fest, with amazing interior design by Style by Emily Henderson. 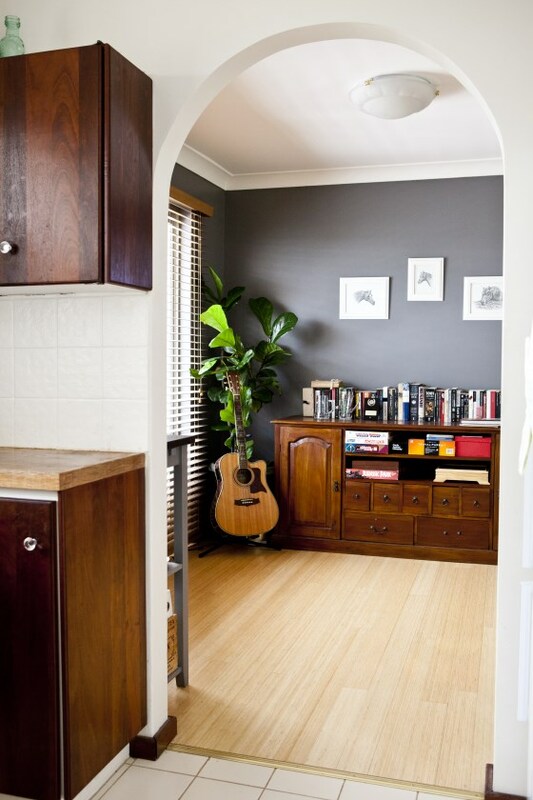 The Brooklyn apartment of Daniel from Manhattan West. 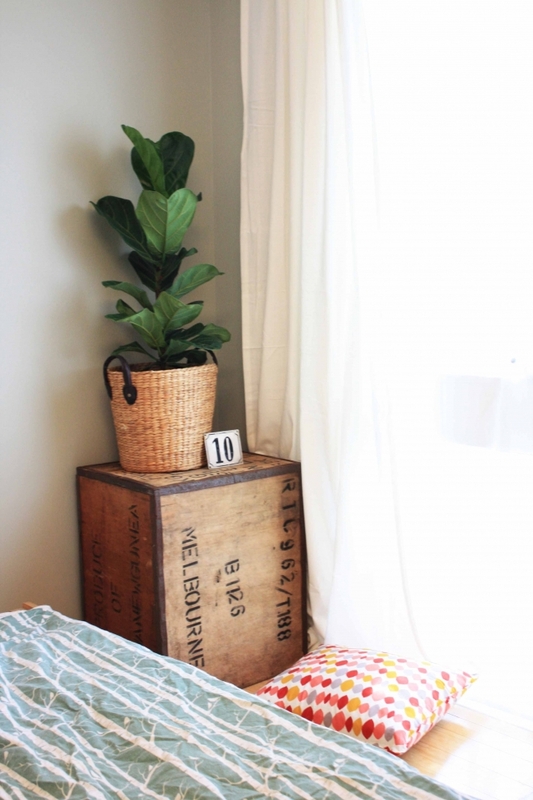 Our fiddle leaf fig in a corner of our lounge room. Photo Heather Robbins of Red Images Fine Photography. From The Marion House Book. Fics lyrata have huge, leathery, glossy leaves that resemble fiddles and are a great house plant if you have black thumbs. And in the right conditions will happily grow three or four metres tall - in a pot! They are so wanted in Sydney that I have heard they are going for around $200 each with a six month waiting list for one! (yep, but don’t stress Perth fig lovers… you can get them cheaper and sans the waiting list). I wondered if you could share where you bought your fiddle leaf tree. I live a couple of hours from Perth so I need to have a plan when I hit the shops. Love your blog, I have a list in my phone of places you have mentioned which I would like to visit when the opportunity arises! And another shot of Bri Emery's apartment just because I am that obsessed with it. A very happy, healthy fiddle leaf fig who looks very proud of himself (and so he should be) from Gardening World. Well, I got my own fiddle leaf fig from an ad on Gumtree, early last year, from memory. My interior designer friend Nelly Reffet of Twinkle & Whistle was the one who suggested I get one for my lounge room. 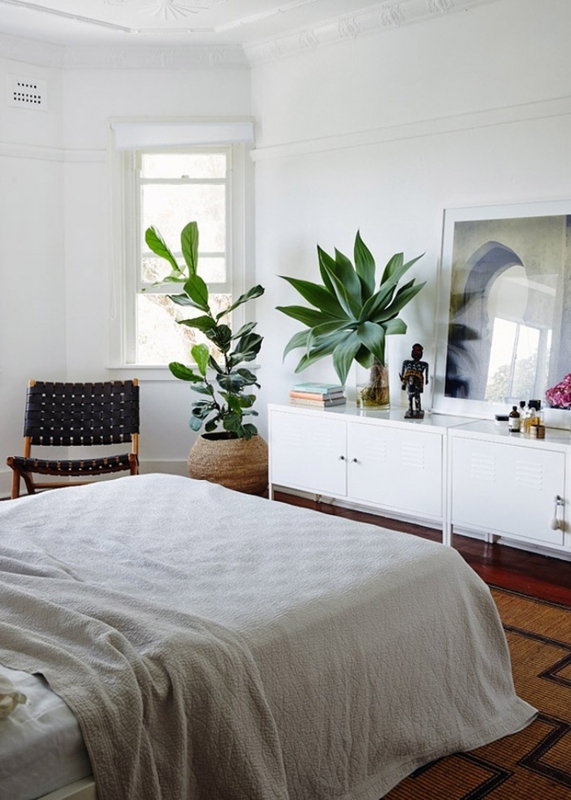 Before she told me about them, I had seen these huge green plants in many an interior design blog, most memorably in the work of U.S-based interior designer Emily Henderson (on whom I have a massive girl crush) yet had never seen them about Perth. Nelly was even the one who spotted an ad for fiddle leaf figs for sale on Gumtree and promptly emailed me to tell me she’d found some (lucky me!) When I called the girl, she told me I could have one for $40 if I picked it up tonight. Boom! I drove to her house that night. The pot was so heavy, it took four of us to hoist it up into my tiny i30. Please note: This list was correct at the time of posting, but I would advise calling your place first just to check that they have some currently in stock! 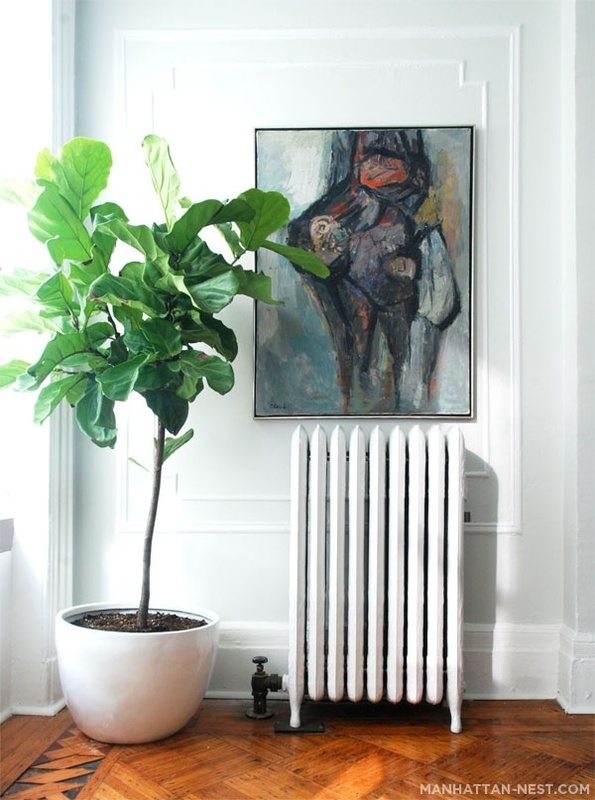 Sometimes you can also find fiddle leaf figs on eBay. Hi again, seriously I'm not a stalker! :) But you were so helpful I wanted to let you know I found my fig tree! I looked at all the suggestions and I was near the Secret Garden shop on Friday and looked in there, they were $32 so I rang around and found that Waldecks Melville had them for $18 (same size). The plant is quite large and very healthy. The blog world must have a huge influence as they all had a good stock of plants and I have never seen them anywhere before! Thanks again! 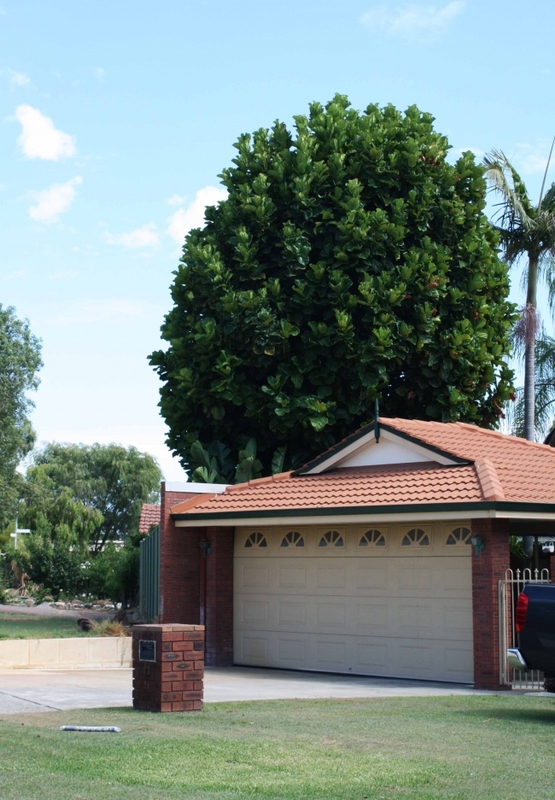 A fiddle leaf fig tree I spotted while out on a drive with a friend in Perth... big guy huh? I'm stoked that Michelle got her hands on one... seriously, I am obsessed with these plants. 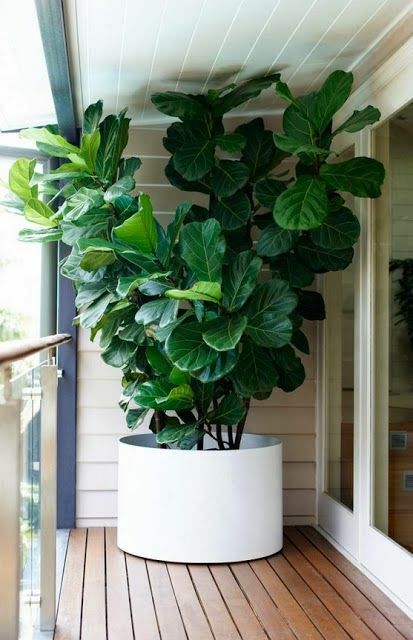 I recently gave one to a friend for her birthday and I also think a fiddle leaf fig would make an excellent housewarming gift! I should add it to my story on 8 Great Housewarming Gift Ideas. 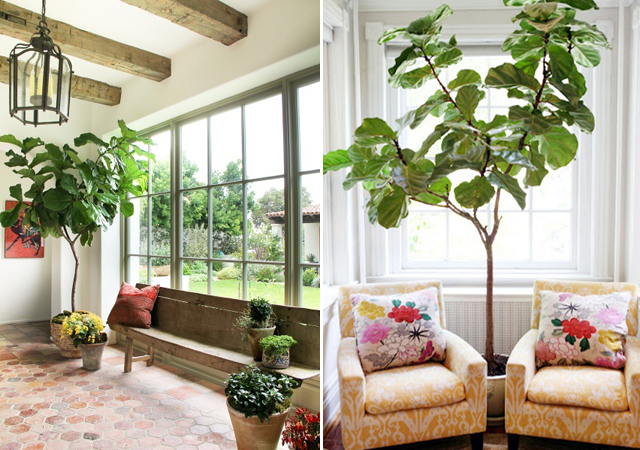 A couple of savvy blog readers have alerted me to the fact that The Terrace Gardener in Dalkeith has fiddle leaf figs... I went there the other day to get one for a gift and there are heaps! Beautiful ones in different sizes that start from $49. They have them in the front of the store but make sure you head round the back to the garden to see them all - I have never seen so many fiddle leaf figs in one spot! Fiddle leaf figs at The Terrace Gardener in Dalkeith. Gosh, so much love in this post. I've had a crazy crush on both Bri Emery and Emily Henderson and both of their work for ages... Sigh. Emily is such a huge inspiration with her interiors. I bought two fiddles from Waldecks a couple weeks back, they're thriving in my sunny lounge room! On a side note, I just bought three of those baskets with the leather handles (you know where from ;)) to neaten up all the mess in my laundry - they are great!! Oh really!? Kmart! $10 a pop! I am the Kmart King. We have really high ceilings so the top of our wall mounted cupboards act as a magnet for everrryythinggg. Now I just have three little baskets all in a row. 'Careful with my money'... this sounds like an interesting concept. Tell me more. I'll go hunting with you! I want another little fiddle leaf now. And I think one in your living room would look gorgeous. Oh bugger Kim! :( Maybe you can do a cutting from a tree if you spot one. Cut a small piece at an angle, keep one leaf, dip it in Clonex hormone gel and leave it in a cup of water on a windowsill for a few weeks to root. Will be slow going, but it will get there! I got one of the last three at Guildford garden world when this came out and we loved it so much that we want another! We are on a waiting list there, the very helpful lady there said that there is like one grower and you have to wait until he releases some, so I would get me on that list Kim! I too want another!! I have bought about five all up, but given three away as presents, and now I hardly see them anywhere! They are not easy to find... I have taken to doing some piddly cuttings. OOh a gift - what a lovely idea! Hi Taryn The Terrace Gardener in Dalkeith has good stock of Fiddle leaf ficus at the moment. Some are over a metre tall! Linda thank you for letting me know! I shared this on my Facebook and Instagram... I think you made lots of people very happy. Just to let you know that The Terrace Gardener has a good stock of beautiful Ficus lyrata in store again. Thank you so much!! I have been searching for weeks. So glad I found your blog too. Waldecks Stirling have plenty in stock and they are about 40 to 50cm tall and cost $24.95. They also have some advanced multi planted Ficus Lyrata coming in around April for about $60. You can put your name down now for the advanced plants. You are a legend! Thank you! And so is your husband, what a good dude. I have three fiddle leaf figs too! Thanks for your helpful post, my darling (fellow blogger!!) friend gifted me my very own Fiddle Leaf on Saturday for my birthday! It seems strange to be so excited about a plant, but I'm legitimately ecstatic! My husband is a tad sick of me constantly moving the pot around the house...must.find.perfect.spot. Hahaha nope I TOTALLY understand your excitement! I was stoked to get my one thanks to my clever interior designer friend! Tell hubby finding the perfect spot is EXTREMELY important. And even then when you've found it you still have the right to mix it up just for a change. 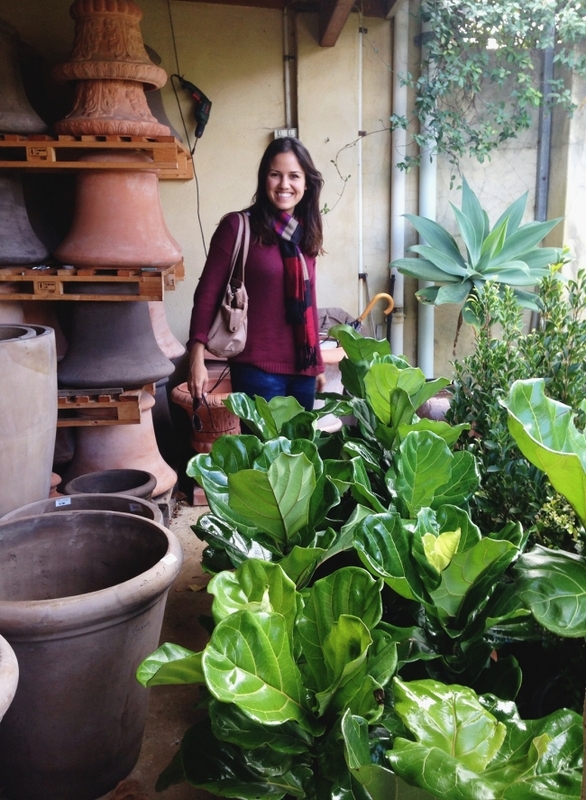 I did not know that the Ficus Lyrata was a hard plant to get! Nonetheless, I was wondering if I could cut mine down at the trunk where there is no leaves. They have grown tall and are grown in pots and are very bushy at the top and have many side shoots at the top. Rather than growing them tall, I want to grow them busy and compact. I would then repot all the top growth - hoping to get many more. If it is okay to cut them at the trunk, when would be a good time to cut. I live in Perth, Western Australia. Thank you for any help you can give me. Hi there! Can anyone help where to find these gorgeous tree's in Bendigo or Melbourne? The Subj Walkdecks has closed. Just a heads up for those still looking for a fiddle leaf. You've inspired me! I'm going to try that. I tried it once and got some roots but then I neglected it and it died. Going to give it a go again. It is amazing how when they are cut they come back so quickly, isn't it? I was pretty sad when a huge neighbourhood fig tree was cut back to a stump not long ago - it looks amazing now, so lush and healthy!